Jill, Your dad, Darrell, used to do a pretty good job of singing the Neil Diamond songs too. He could have done a fairly decent stage show impersonating Neil Diamond. He wasn't the last owner of the Skytop though. 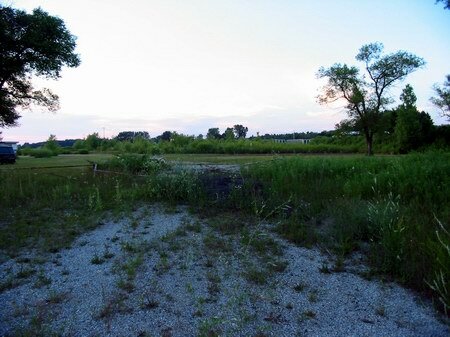 It ran maybe another year or so after your family moved from there, until it flooded so badly in 1986. I think one of the highlights of the Skytop was the opening year with the fireworks. I think your aunt Lori sang for that intermission as well. Hope all is well with you Jilly Bean. 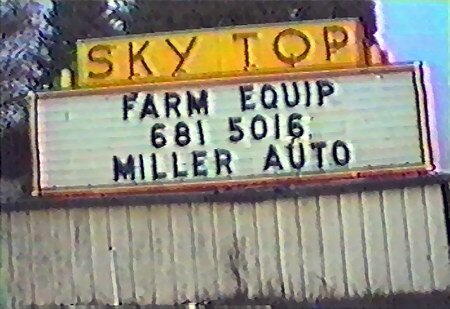 My parents were I believe the last owners of the Sky Top, we lived in the trailer on the grounds. I think I was about 11 years old. My dad, Darrell Dringenberg used to play Neil Diamond while I did speaker check early every morning. Our trailer was also wired for sound from the movie. I got very fast at splicing the film when the reel would break. My aunt Lori would sometimes come and play with her band on a flatbed trailer by the concession stand building. 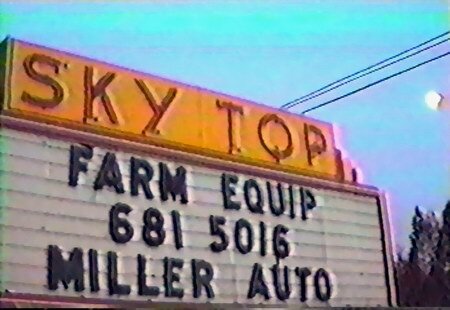 I have so many memories of the Sky Top that I couldn't possibly put them all down here. The best one is that you could fill your car up with all your friends and get in for a dollar. 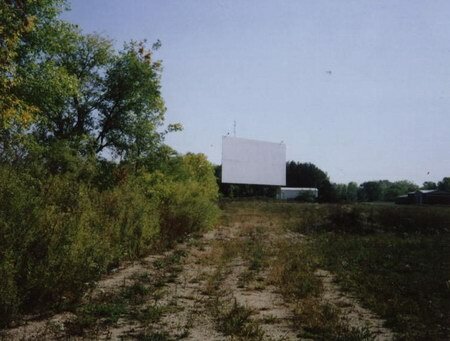 My Mother would pop a paper grocery sack full of pop corn and make a gallon of Kool-Aid and get all of my neighborhood friends and we would head for the movies. In the early days they had a merry go-round, they kind with horses, and swings and other things for us to play on before the sun went down. I remember watching movies with the wipers going because it was raining or if it was hot setting on the hood of the car with your back against the windshield. It was a perfect angle for watching the movie. Then as we began to drive and didn't have enough money to get in the show you would stick 2 or 3 guys in the trunk and sneak them in! In those days the back seat would go down and you could crawl out of the trunk without anybody seeing you! When I was married my wife and I took our boy and a couple of his friends to a double feature. The first show was what the kids wanted to see and we didn't know what the second one was about. These boys were about 10 or so and when the second movie started about 5 minutes into the show a woman comes walking out of the bedroom with no top on. Well it didn't take my wife long to say we wasn't staying for the double feature. She was real embarassed when she told the mother of the 2 boys we took what happened and that she didn't know that was going to happen. 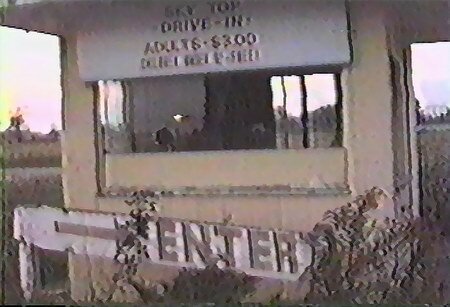 The Sky Top Drive-In was closed in 1986 after extensive flooding destroyed the buildings foundations. Although its location was not close to the Pine River and not on a flood plain, this was, nonetheless, the same time that the Pine River overflowed it''s banks flooding a portion of downtown Alma. This was also the same weather issue that caused the dam at Rainbow Lake to burst turning the lake into Rainbow Flats. It seems that the drainage ditches surrounding the theater were not able to keep up with the torrential rains that occurred during that time. The theater projection booth and concession stand at one point was under more than 3 feet of standing water. Totally gone now there is a self storage there nothing else. 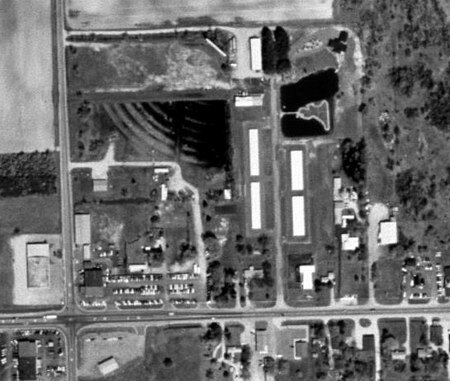 July 1959 - Russell Kortes has succeeded Lawrence W. Beers as owner of the Skytop Drive-In at St. Louis. 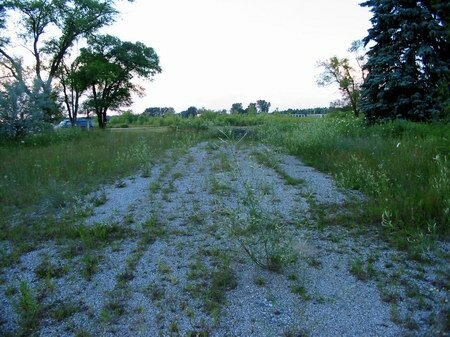 The driveway and some remains of the ramps are visible, nothing else remains.